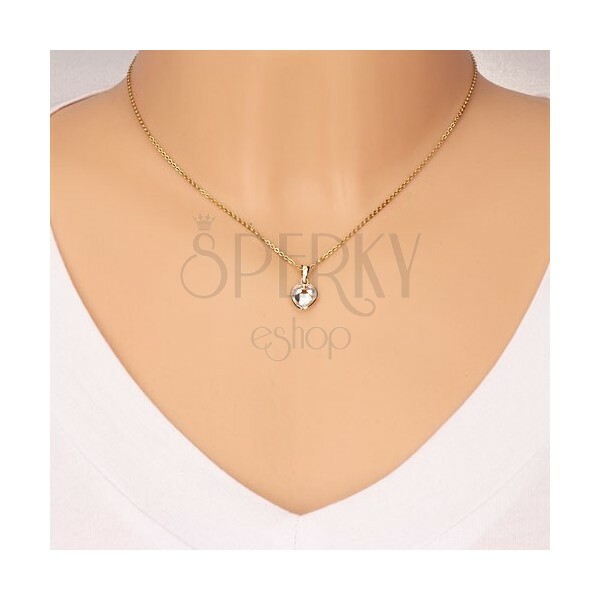 9K gold pendant - thin gold holder, transparent zircon cut into the shape of symmetric heart. By buying this product you can collect up to 13 points as a voucher of 2,60 €. Your reward points. 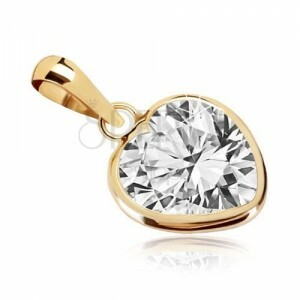 Yellow 375 gold pendant and it consists of narrow holder and cut zircon. 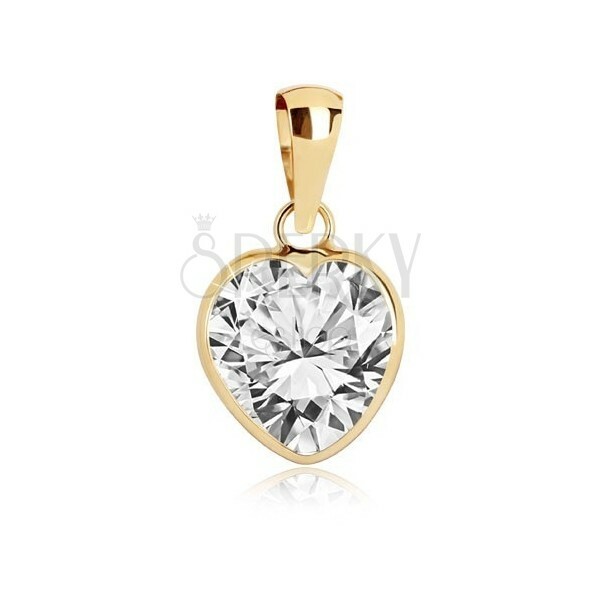 Thin holder has smooth and glossy surface and it encircles zircon of symmetric heart shape. 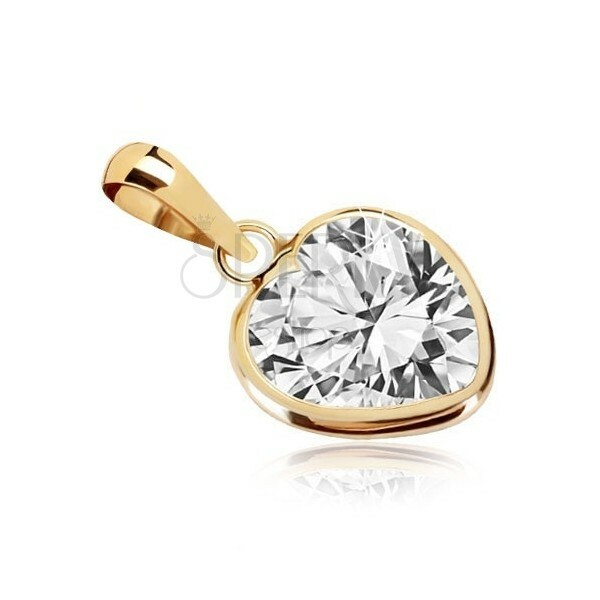 Heart zircon is available in clear hue and it extensively sticks out at the back part. Ring has oblong shape and it slightly broadens upwards.